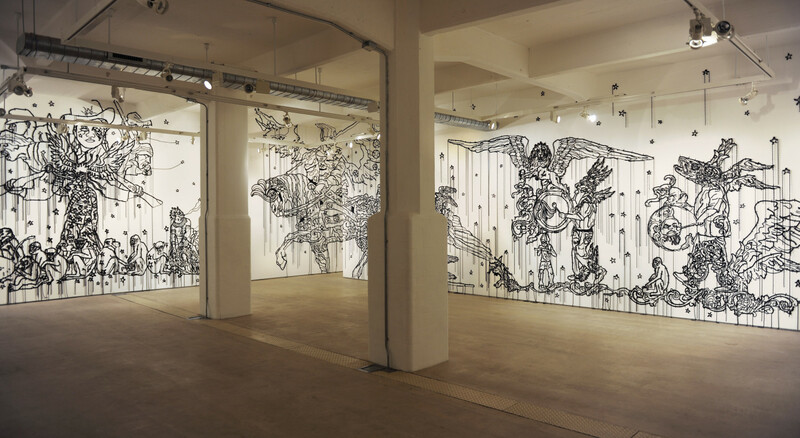 Hales Gallery is pleased to announce Hew Locke's third solo show at the gallery. The Nameless presents a new grand scale installation, covering the gallery in dripping beads and cord. With reference to Huston's self reflective quote Locke's work displays a mysterious collection of an endless procession lead by drummers enigmatically passing through the space on a seemingly endless journey. Both Locke's imagery and notion for the work are informed by a diverse and rigorously selected body of research. The Nameless sees a dense amalgamation of historical and contemporary references resulting in the combination of Venetian sculpture with Victorian architectural details, Pre-Columbian artefacts with Assyrian reliefs and heraldry with the Benin Bronzes. With reference to medieval frescos of the Last Judgement and other battles; renaissance tapestries; Egyptian tomb paintings, Locke revels in the past's use of narrative. However, The Nameless does not offer up clarity in its sequence of events, instead the work provides a false sense of didactic discussion where the pastiche of information presents no direct narrative, description or distinct purpose. Here, the work becomes an unexplained display of perpetual marching to no specific grind, a contemporary exhibit of the 'Flying Dutchman' through artistic gesture. 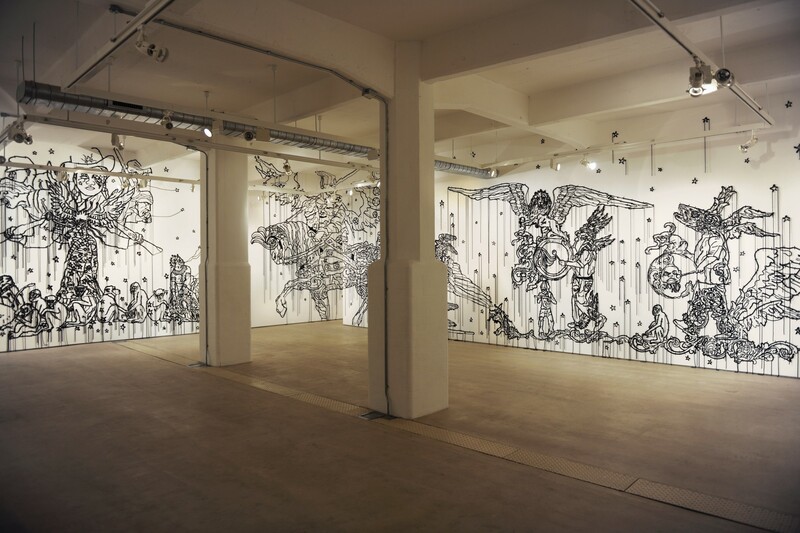 Hew Locke was born in Edinburgh, lived inGuyana for the 14 years of his childhood and is now based inLondon. Hew has been shortlisted for the Fourth Plinth commission inTrafalgar Square and has recently participated in Behind the Mask at theNewArtGallery,Walsall. His works are included in several prestigious collections such as the Brooklyn Museum, Victoria & Albert Museum, the Tate Collection, the Government art collection, the British Museum and the Henry Moore Institute.